Philippines President Rodrigo Duterte has a harsh warning for Islamist militants as the conflict rages in the southern island of Mindanao. His warning comes after the bodies of two Vietnamese sailors were found decapitated. "I will eat your liver if you want. 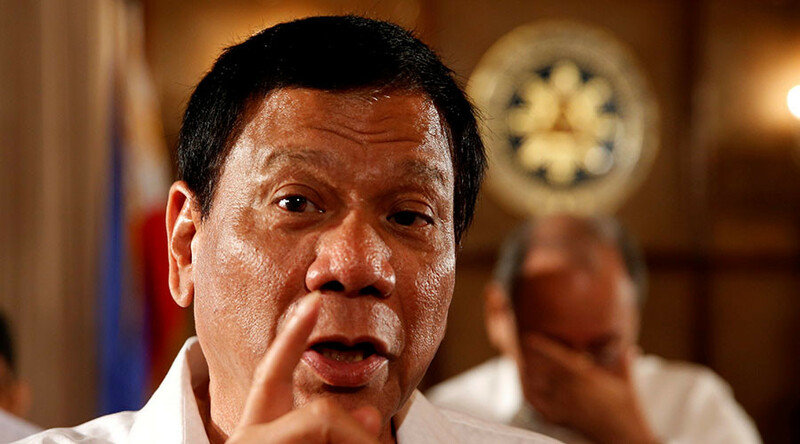 I will just add salt and vinegar, I will eat it in front of you," Duterte said Wednesday, as cited by Rappler, addressing Abu Sayyaf, the group responsible for the barbaric killings. The bodies of the two men were discovered by locals early on Wednesday morning on the island province of Basilan, reported ABS-CBN. They were identified as being those of Hoang Thong and Hoang Va Hai, two of six crew members abducted from a Vietnamese cargo ship last November. One man escaped from Abu Sayyaf during a military operation in June, it's believed that three others are still being held hostage. The group routinely kidnap civilians and hold them for ransom, often beheading their captives unless payment is made. German national Jurgen Kantner, 70, was beheaded in February when the group's demand for a ransom of $600,000 was not met. Lt. Gen. Carlito Galvez Jr. Western Mindanao Command chief, condemned the barbaric actions of the group. “For months now, many sectors in the society, including the military and police exhausted all efforts to rescue these kidnap victims who are still in the hands of the Abu Sayyaf group,” The Philippine Star reports Galvez as saying. The bodies were found the same day as the military arrested a woman described as “the main financier and logistic supporter” of the Islamic State-affiliated Maute fighters. An army spokesman said security forces raided a village near Marawi CIty on Mindanao Island, according to Reuters. "The arrest will adversely affect the logistics support network of the group," Brigadier-General Gilbert Gapay said, as cited by Reuters. Abu Sayyaf militants are just one of a number of IS-linked militant groups battling the army in the region. To date, at least 400 people are thought to have been killed by Maute fighters alone in Marawi, while hundreds of thousands have been displaced due to the ongoing conflict.